Discerning the Truth "All Truth is God's Truth" - Really? "All Truth is God's Truth!" - Really? This phrase, "All truth is God's truth" seems so good and right that many have been sideswiped by its subtle and deceptive motive. The phrase as said is true. Truth is the accurate assessment of what has, is or will happen. Truth provides for us a proper relational understanding of acts, events and situations. Falsehood is a confusion of truth. The fornicator lover is caught up with his infatuation. 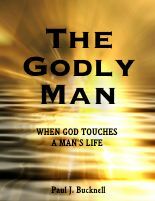 From his perspective he sees love and good feelings, but the truth is that he is disobeying God's commandments, hurting a woman and further entangling himself in the depths of darkness. We must interpret everything not by what we feel, what we believe or even hope. Truth is determined by evaluating it by God's Word for only then do we gain God's evaluation of some certain thought, act, event or situation. History, science, physical psychology all can use different aspects of God's truth. Unfortunately they use God's truth wrongly. Have you ever taken such a course and come away giving praise and thanks to God?! Probably not. History is not always a record of what was but what man thought it to be. The Gospels, however, bring us God's understanding of what the person of Christ did. Science often goes astray in its study of the makeup of the universe when it does not bring its foundational observations before the throne of God. Psalm 19 uses the creation to bring glory to God. Man selfishly, almost like a thief, makes a discovery, calls it his work, and makes fame and profit from the discovery. Where is God's glory? Has anyone recognized His patent? Where is the joy of discovering the things God has made. Our wickedness is seen in the way we shut God from our lives. We handle God's truth all the time only we do not discern it. Because we use truth only for our own purposes, we do not bring full glory to God. This is where we come back to the phrase, "All truth is God's truth." As the Creator and Commander of the world this is a true statement, but the evil one uses the phrase to enable the believer and sometimes unbeliever to undiscerning accept the perspectives, studies or practice of men as good. Let's look at a scripture passage to help us examine our thinking on this point. Notice here in Psalm 1:1 that the man who is blessed does not 'take' the advice of the wicked. He does not do what everyone else is doing. Nor does he join others in their secular approach to handling problems and thus despise the Word of God. (This is a very loose paraphrase of Psalm 1:1). Numerous believers have used this phrase "all truth is God's truth" to justify their quest of truth under the influence of wicked men. They want to believe that even wicked men have truth and that truth is what makes people better. The quickly growing world of counseling has used this thinking. Those that use this phrase might even have doubts of what they are doing but don't believe there is an alternative means to solve their desperate problem. The believer is afraid to say, "I don't believe God can help me." Secular counselors do come upon true observations at times. They might observe, for example, that a child's rebellious problems derive from bitterness resulting from the oppressive way his father acted toward him. The scriptures affirm that unresolved sin is passed down to our direct descendants in Exodus 20: 5. While Ephesians 6:4 warns us of dire results if a father provokes a child to anger. But having knowledge of this truth, does not mean that the counsellors interpretation of that truth will be shaped by God's perspective. Think how this truth can be wrongly used in a counseling situation where a parent brings a child in because of rebellion. 1) They might suggest that the parent is all at fault and so their patient should not feel bad at their rage. They only need to go and express it. 2) They might suggest an unbiblical procedure of isolating themselves from his father instead of seeking reconciliation God's way. 3) They might urge the patient to take some medicine that will relax them a bit so that they can 'handle' the situation with less aggressiveness. The counselor has rightly seen where the problem has originated, but in each case they have abused the truth. Their counsel is wicked. They have in all three situations told the patient that they are not responsible for their bitterness. They are not told that they should or could eliminate their inner anger. They don't cure by only ease the problem. The counselor has their patient relieve their sense of guilt by focusing on the wrongs of the other. Reconciliation, however, starts with owning up to ones guilt rather than avoiding it (Matthew 5:3). We should never express our anger or rage for it only increases it (Proverbs 30:33). Our cure must begin with the confession of our own sin which at least takes down our side of the wall. With this change accompanied by our prayers we can anticipate that God will do special things in the father-son relationship (Proverbs 30:17; Malachi 4:6). We find the recommendation of isolation given here. It does work to some degree if ones only goal is to lower ones own stress. But this is not our goal. A son's goal is to be a blessing to his father. We are not saying that the father is correct in his ways. But the stress from this relationship is being used to bring the son's sin to light. God wants him stressed out from this relationship so that he might learn how to forgive. Along as he doesn't forgive, he will be a horribly ungracious man (Matthew 6:12, 14-15). Restoration comes through forgiveness and change through Christ Jesus. We observe that medicine rather than isolation is used to reduce stress. It is assumed in many cases that isolation is not a possible solution (e.g. he might live with him). Medicine are drugs. Drugs have their side effects. Isolation like drugs can help people avoid the very problem that they need to face. By drugging themselves, they see a way out that does not bring restoration, peace, love or joy (Galatians 5:22-23). Instead of a bright testimony of working through the problem, they have become sinners without hope of a real cure. They no longer believe (truly believe) that God cares for them or can help them. Our churches are full of them. They are not their by faith but by religious duty. This is a long example of how a secularist might have a grain of truth but use it to turn people's hearts away from God. Truth is used in a setting of anti-scriptural advice. This is exactly what the evil one did when he tempted Jesus (Matthew 4:1-11). He used truth, even a scripture, but put it in a anti-God context where Jesus was tempted to respond to God in doubt. We must realize that the 'bad' advice is not the worst part of the counsel. The evil one's true temptation comes to light when the evil motives are exposed. Veiled behind the sinful advice is an assumption that God is not relevant to ones problems and that God cannot help. In other words man is not taught to trust God but to doubt His reliability. Jesus fully trusted God and we are to imitate Him. Let's look at a few of many passages that show us that it is normal and right for God's people to trust Him even when we are facing difficult times. Though the secularists might possess some 'truths', his advice stems from his unbelief in God or His good works. He despises God's ways. When we or others expose ourselves to such advice, we are poisoned by their mistrust. This is so clear from Psalm 1:1. When we don't trust in Him, we will have no testimony for the Lord. Let us think through a more specific example just to flesh this out. Say my boy is having fears about some monster. We as parents would do what we could (or thought we could). We tell him that there are no monsters. We tell him it is okay to sleep; no monsters will eat him up. Our next step is crucial. Our children are watching us. When we run dry with 'quick' advice, do we run to God or others. It is fine to see the elders or pastors for any insight into our situation, but God is testing us to see if we will ultimately turn to Him or others. Christian counsel is never to replace our own seeking of the Lord. We cannot think that the Lord does not want to speak to us. We need to cry out to God. We need to search the scriptures. We need to believe. It is great to see pastors and other good Christians to come around and support us, but we must not think it is their faith that God is working on as much as ours. But as we see in the scripture, many of God's people do not trust their pastors to give good counsel. Others do not have faithful shepherds to help them understand how God is working in their lives. Ezekiel the prophet speaks of them. It is commonly accepted as best to secure "professional" advice at great cost, whether it be Christian or not. In many cases the Christian counselor is not working within the church's context. This is not good. The high payment for counsel is again not good. A volunteer love gift from the person to the brother who helped is much more appropriate. Notice the heart of a caring shepherd is one who is not in it for the profession or for the purpose of the money. Some might respond by saying that I found some relief when I went to the psychiatrist. "I gave thanks to God for this. He used this unbeliever to bring some healing." Do they really understand how they have turned from the living God to go and find at great cost advice that cements them into a deeper hole of mistrust? No, not usually. We as His people are all growing in our understanding of God. The solution is not in a man but in the Almighty God. God often works through the pastor to care for His sheep. The shepherds need to turn back to God and so again be able to hear from God. But at the same time, we must repent from trusting our own schemes. We do not see how stress, worries and fears are meant to reveal sin in our lives so that we call on the Lord's Name. Parents need to start trusting God with what He does so well - conviction of sin, revealing of guilt, uncovering of hidden sin, and bringing faith and confidence in Christ.